Since 1976, Kent Moeller has enjoyed Campbell River and all it has to offer. An avid outdoorsman, when Kent isn’t working as a Chartered Accountant in his own public practice, he can be found hunting, fishing or enjoying his hobby farm.“I grew up in Campbell River and have seen the decline in recreational and commercial salmon fishing. I want to help restore fishing to the “glory days”. The 2004 recipient of the District of Campbell River’s Stewardship award for small business, and a member of the prestigious Tyee Club, Moeller has offered his accounting skills to the Discovery Coast Greenways Land Trust (Treasurer), the Tyee Club (Accountant), Haig-Brown Kingfisher Creek Society (Financial Consultant) and the Orford Hatchery (Auditor). Calling Campbell River home since 1976, Donald is the owner and manager of several logging and real estate interests and enjoys boating, fishing, hunting aviation and travel. A long time sport fisherman, Donald has seen the impact of habitat destruction and over fishing and joins the Campbell River Salmon Foundation with the goal to help rebuild salmon stocks and be part of a local group of people working to enhance the salmon population as well as and educate the community on the importance of maintaining healthy wildlife habitat. Troy was born and raised in Campbell River. He received his Bachelor of Business Administration, with a major in Finance from Vancouver Island University (Malaspina University-College) in 2006 before moving back to Campbell River to study and become a Chartered Accountant. Troy worked in public practice from 2007 to 2013 where he worked with a variety of clients from individuals up to large corporate groups of companies and government entities. He worked with his clients on a variety of levels, such as business startup planning, tax planning, assurance services and succession strategies. Troy also worked with clients in many other industries, and had a particular interest in helping young business owners start their own operations and assist them along the way. In 2013 Troy took an opportunity with Broadstreet Properties Ltd./Seymour Pacific Developments Ltd. in Campbell River. He works within the accounting and finance department on a variety or financial accounting, tax and assurance matters. Troy is a passionate outdoorsman, who enjoys fishing, hunting, camping and hiking. Troy volunteers with the Campbell River Salmon Foundation because it is a locally based organization, run by local people with minimal overhead which allows almost 100% of all proceeds to be put towards Salmon habitat enhancement. He believes the Campbell River Salmon Foundation has the experience and educational know how that is required to enhance salmon habitat and increase returns of salmon to our local rivers and streams. In 1984 Rupert took a summer job as a fishing guide at Big Bay on Stuart Island and was immediately hooked on the beauty and the fishing opportunities. He spent the next 22 summers running fishing charters in the area and settled on Quadra Island in 2001 to start a family. Rupert now lives in Campbell River with his wife and two children who all enjoy salmon fishing. Although guiding is no longer part of his life, Rupert continues to be involved with salmon working on salmon recovery initiatives for a private foundation. He is also the past South Coast Chair of the Sport Fishing Advisory Board, President of the Gillard Pass Fisheries Association and on the board of the Center for Aquatic Health Sciences. 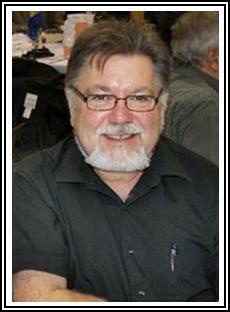 Corby Lamb is the President of Capacity Forest Management Ltd and has 44 years of experience in the forest industry. Capacity is a full service management company that works exclusively for First Nation organisations throughout the Province. Capacity was recently awarded the President’s Award for work in Forest Certification with First Nation Licencees through the Sustainable Forest Initiative which is an internationally recognised standard. Corby sits on the Provincial Forestry Forum, the Coastal Operational Issues Forum and the New Tenures Policy Group. He is also a Director on the Campbell River Chamber of Commerce and the Campbell River Salmon Foundation. Over the past 20 years Corby has managed a small Salmon Hatchery and over $3 million in Habitat Restoration projects on Haida Gwaii and the Central Coast. After obtaining a diploma in the Arts and Science program at Malaspina College in 1979 Rick actively pursued employment in the Fisheries Resource Management field. After receiving his first position with the Department of Fisheries and Oceans in 1980 until his retirement in 2012, Rick has worked in a number of different capacities including conservation and protection, habitat restoration and fisheries management. His work has taken him from the Cowichan Valley to Rivers Inlet to Nootka and Kyuquot Sound on the West Coast of Vancouver Island. After his retirement Rick began to volunteer with local stream keeper groups in the Campbell River area as well as Greenways Land Trust and joined the board of the Campbell River Salmon Foundation in 2014. “What is really impressive about the foundation is that virtually all funds raised go directly to funding enhancement and restoration projects.” Rick enjoys working with the diverse group of individuals who all have a love of the outdoors and a dedication to improving the fisheries resource in the Campbell River area though education, salmon enhancement and habitat restoration. Stewart Carstairs – Info on the way! Terry Stuart – Info on the way!